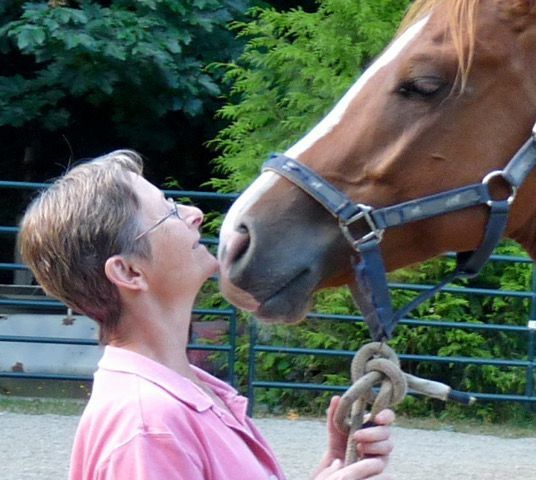 I have spent most of my life in the arts industry in one way or another, but it is my passion for horses that has been the primary motivating factor. My first memory is of sitting on the back of a horse (at about the age of 2 according to my mother). It is a powerful, visceral memory that brings back feelings of awe and wonder. I remember feeling like I was sitting on top of the world. I can only guess that this is where my love of horses comes from, but it is this same fascination that lead me to draw them continuously as a child. And that sense of discovery has never ended. When I draw something, I know it from the inside out. At some point in my later teen years, my interest in art equalled the interest in horses. This led me to study at the Banff Centre for the Arts, the University of Victoria and finally at the prestigious Art Center College of Design in Pasadena, California. Afterwards, my work led me to the graphics industry working in print shops and advertising firms, then to owning and managing a gallery and framing business in California. I have worked as a full time professional artist for 20+ years specializing in equine art. When I am asked where I get my inspiration from, my response is "every horse has a story, and its my mission, my challenge, to find it and tell it." I have the great honour of a family that has supported my career from the beginning. Firstly with my parents (my original fans), who encouraged me and made my educational choices possible, to my immediate family. My 3 children have grown up in a working studio environment, often sacrificing their mother's time to deadlines, shows and the compelling need to create. They have helped tirelessly at numerous trade shows and still give their time in support of my endeavors. They are the joy of my life. My husband, partner and best friend, Paul S. Smith is directly responsible for the growth in my artwork. His involvement in the studio has cleared the way for me to focus my time and energy at the easel. His foresight envisioned the Musical Ride Series which, to date is the most significant body of work that I have produced. We are a team. 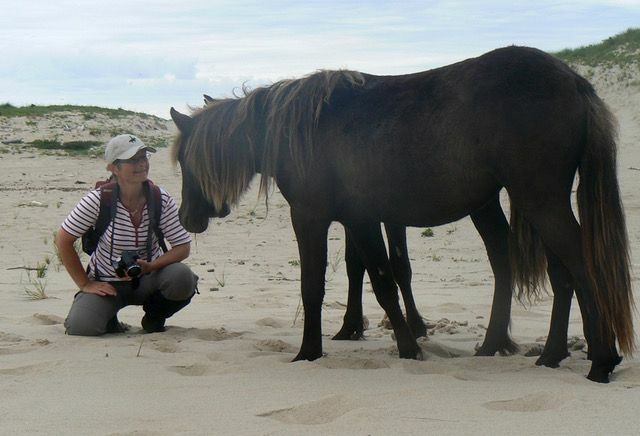 I have had pleasure of traveling internationally to New York, England and China for shows of my work, but no trip has moved me more than my trip to the remote and restricted Sable Island off the eastern coast of Nova Scotia. To sit among the sand dunes and wild horses on that far away, mostly deserted island still takes my breath away. Sable Island has moved inside my soul and my most recent series of paintings allows me to relive my time there. I have an extensive Curriculum Vitae (if you want to see it, email me) with numerous professional accomplishments and associations. But that is past history and today is what interests me most. As an artist, I believe that I am just now hitting my stride . . . everything so far has led me to the work that I am doing today. When I am asked which is my favourite painting, the only way I can possibly respond is to say "the one that is on the easel."